Working Access (L x W x D) – 6.18"x5.59"x5.00"
Overall Dimensions (L x W x max H) – 19.6"x8.7"x17.2"
Working Access (L x W x D) – 8.35"x10.88"x5.50"
Overall Dimensions (L x W x max H) – 22.4"x14.5"x17.8"
Overall Dimensions (L x W x max H) – 19.6"x8.7"x16.1"
Overall Dimensions (L x W x max H) – 22.4"x14.5"x16.6"
The MX Controller is easy, user-friendly and accessible. It still provides all of the best parts of a PolyScience Circulating Bath Controller in a compact package. With temperature stability within ±0.07°C, the MX delivers consistent temperatures every time. The backlit display is large and vertically oriented for optimal viewing. The MX can reach temperatures as high as 135°C. The MX Controller is easy, user-friendly and accessible. 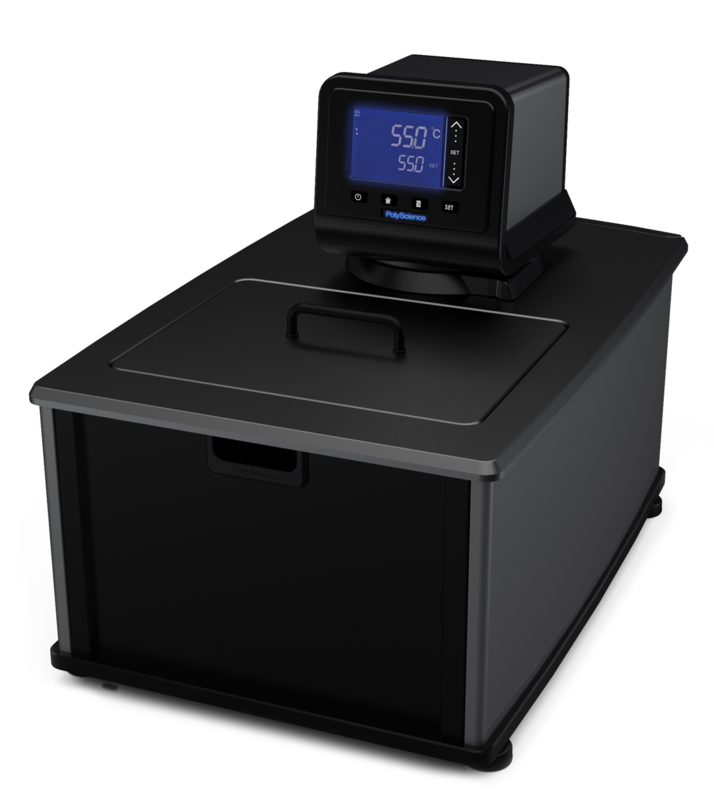 It still provides all of the best parts of a PolyScience Circulating Bath Controller in a compact package. With temperature stability within ±0.07°C, the MX delivers consistent temperatures every time. The backlit display is large and vertically oriented for optimal viewing. 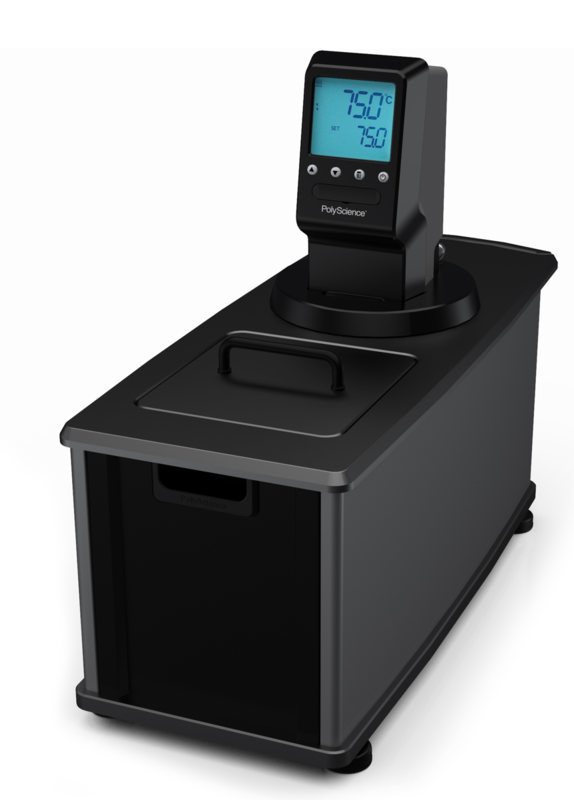 The MX can reach temperature ranges as wide as -30° to 135°C. The Standard Digital Controller is an economical solution for circulating baths requiring good temperature stability without all the distraction. SD Controllers are simple, intuitive and powerful, allowing for temperature ranges as high as 170°C. They provide temperature stability of ±0.04°C and have two pump speeds for improved flow. 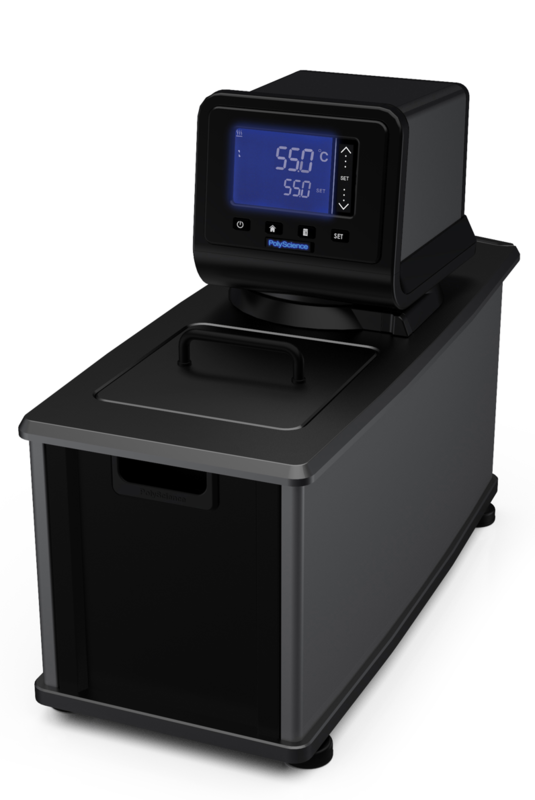 The Standard Digital Controller is an economical solution for circulating baths requiring good temperature stability without all the distraction. SD Controllers are simple, intuitive and powerful, allowing for temperature ranges as wide as -30° to 170°C. They provide temperature stability of ±0.04°C and have two pump speeds for improved flow. 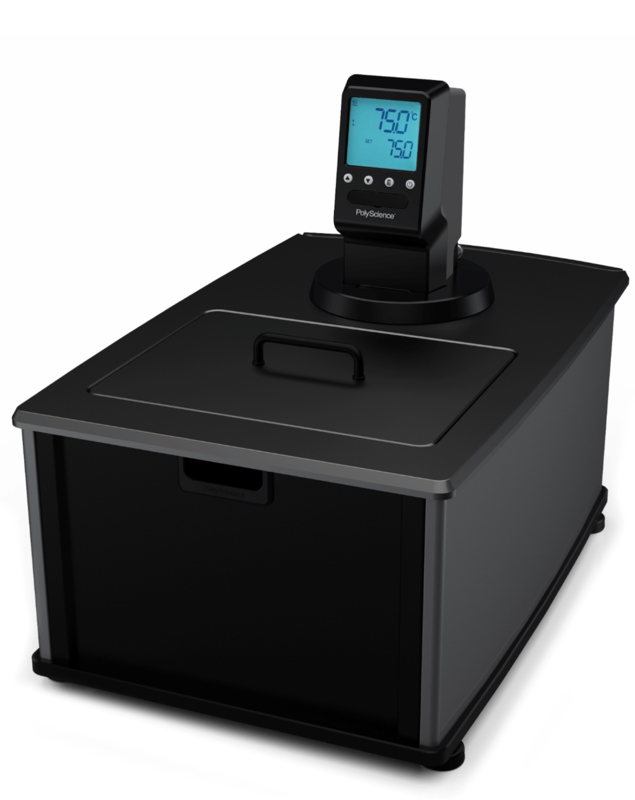 PolyScience Calibration Baths provide accurate, consistent temperatures for any device that requires external calibration. With a deep reservoir to accommodate long probes and a customizable lid to provide all probes with an optimal fit, these Calibration Baths provide precision calibration to a stability of ±0.005°C. Available in Performance Digital or Performance Programmable options as well as Heated or Heated and Refrigerated options. Waterbaths product video from Accurate Thermal Systems on Vimeo.